When it comes to skateboarding contests, there are several disciplines that have emerged throughout the years: Vert, Street, Mega Ramp, Flatground, Bowl… Hell, you could argue that video parts are contests unto themselves. But there's still an evolution happening, and Vans is leading the charge to create a clear distinction between Park and Bowl contests. I feel like I should probably put a disclaimer here: There are skaters out there whose instinct is to flinch at the mere mention of disciplines, and any sort of sport comparison. I know. I'm one of them. Nonetheless, it's happening, and it's interesting. This discussion is coming about because it's clear that there's a wide variety of terrain, and an even wider variety of skateboarding happening on said terrain. By way of contrast, Flatground is pretty easy to define, and if the ramps are the size of office buildings, it's a Mega Ramp event. But because the "park" distinction has long since been an umbrella for anything that wasn't clearly Street or Vert, many think it's time to draw a line for Park and Bowl. 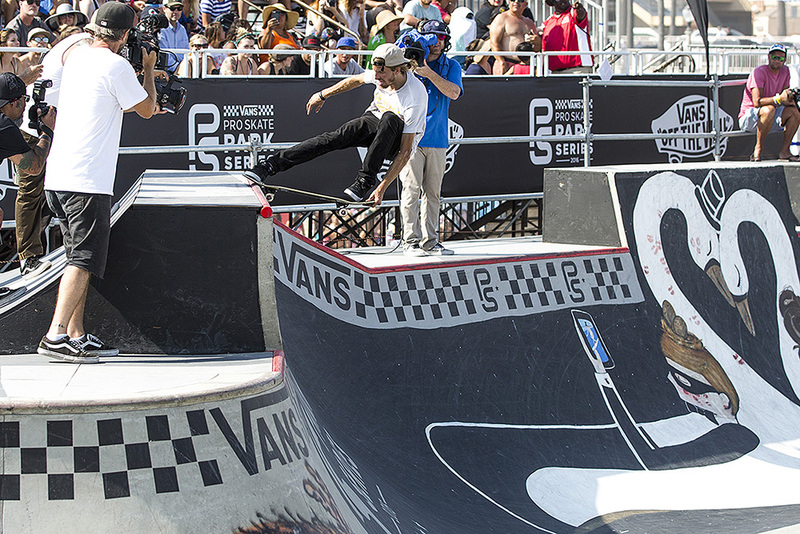 "Basically, where park ends, bowl begins," explains Vans' Head of Global Sports Marketing, Skateboarding, Justin Regan. He has been fine-tuning the Vans Park Series as a means of creating just such a distinction. "And the theoretical dividing line is vertical surfaces, because vert favors a different skill set." 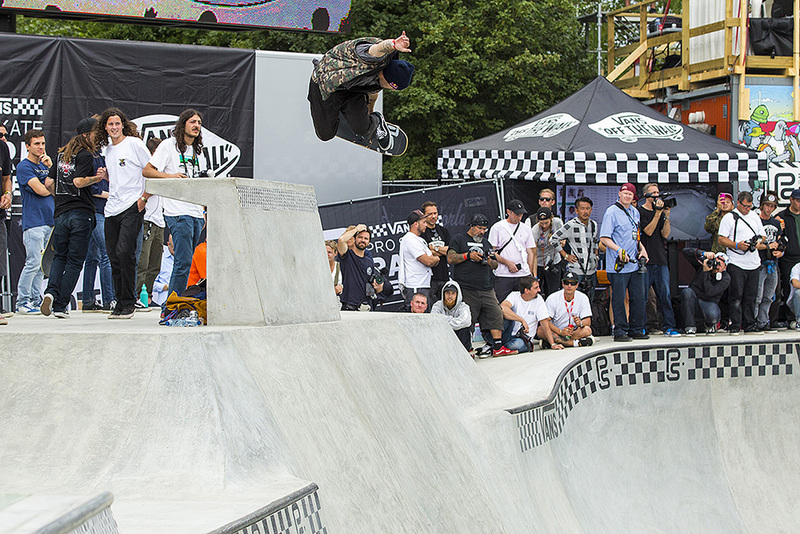 Don Bostick has been running skateboarding contests for literally decades, and as the head of the World Cup of Skateboarding, he too understands the difference: "A bowl contest is really a pool contest," he says. "They take place in pool-like structures that feature pool coping, a shallow end, a deep end, hips, corners, death boxes, etc. These features can be round, oval, square or a creative combination of two or more pools, like a cloverleaf, or the ever-famous Combi Pool." Fine-tuning contest disciplines has happened time after time. Skateboarding has grown, and that growth has spawned contest evolution in nearly every direction. That's why you have flatground events like Battle At The Berrics, and Mega Ramp categories in many of the big contests. All this really means is just more skating for people to watch, to attend, and to enjoy. More prize purses to go into your favorite skaters' pockets. And more people who can get exposed to skateboarding. In addition, it ups the overall level of competition, growing and progressing each category. This results in a higher caliber of skating all around. Birdhouse pro Aaron "Jaws" Homoki is one of the skaters who could stand to benefit from a clear distinction between disciplines: "There's definitely a huge difference between the Combi contest," he says, "and what Vans is doing with smaller bowls and more open courses where you're able to do more tricks." Homoki can hold his own in a park setting—he did, after all, grow up skating Arizona's well-known parks in Chandler and Paradise Valley. "In park contests you can definitely get a lot more technical," Homoki continues, "and in bowl contests you're just going fast, catching air—and if you're Pedro Barros, you're killing it." Neal Hendrix made a living as a professional skateboarder for many years. Today, he heads up the International Events Committee for the International Skateboarding Federation. He feels that, even with the distinctions, the current contest landscape favors diversity, and it's the ATV skaters—like Barros—who are reaping the benefits. "It’s going to be really hard for guys that specialize in a certain discipline to thrive in the current environment," Hendrix says. "The days where someone like myself, a vert ramp specialist, would have 20 top pro events a year are long gone. Pros of today can skate a park series event one weekend, a Mega Ramp event the next weekend, a bowl contest the next weekend and so on." Bostick agrees that the podiums at each contest will be heavy with the new wave of under-25 all-terrain skaters – the "younger crew," he calls them. "I'll say this. 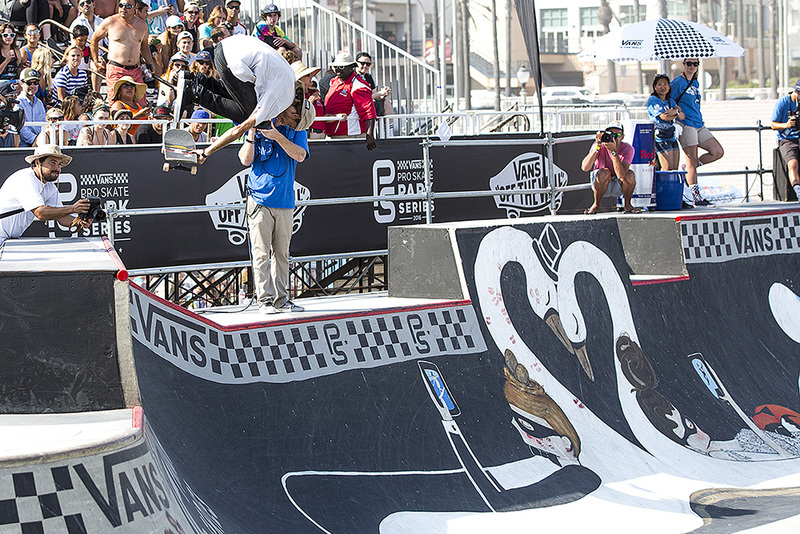 The guys that are killing the park contests are the skaters that have all-around skills." This generation of contest rippers is being fed directly from the global proliferation of skateboarding. "In essence," says Bostick, "what we are seeing is the result of the thousands of skateparks around the world that feature transition and the skaters are just adapting to skating everything." That being said, Hendrix feels the new classification doesn't mean anything—yet: "It may make sense if you are trying to create a ranking system, but until a ranking system actually means something then nobody will really care anyway." This may sound negative, but Hendrix is simply looking ahead to skateboarding on an Olympic level: "I think the arrangement works for now, but as we all know we are probably in for a tectonic shift in the skate event world on the Olympic front, and that will probably mean the terrain will have to be more defined when it comes to events that could be Olympic qualifiers." Time will tell if this new contest distinction helps pave the way for the Tokyo Olympics in 2020, but skateboarding will always remain, well, skateboarding. And because it goes hand-in-hand with the spirit of skateboarding, rebellion will always manage to rear its head. "The cool thing about skateboarding," says Hendrix, "is once you establish some rules and criteria, skateboarding changes, we break the rules, and do something different." This Park/Bowl distinction is just one more in a long history of rapid evolution, and it's not going to be the last. That's simply the nature of skateboarding.